No Experience or sail training required. 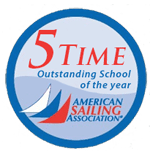 This is a course that will enhance any future sailing you do by helping you find your way safely. Home Study Course – Work at your own pace, then call to schedule your written test. Option: Home-study, plus 2 hrs. instruction $425.00. Call (850) 432-3199.